There are many career opportunities in the logistics and supply chain industry.. The industry is dynamic, challenging, demanding but very rewarding. Whether you are interested in general management or one of the many disciplines such as warehousing, transport, administration or finance there may be an opportunity that suits you. If you are interested in starting a career in logistics or if you are already working in the industry and are seeking new challenges please contact us and register your details. We will be pleased to hear from you. Our expertise and experience in delivering logistics solutions and support services has been built up over the past 38 years. 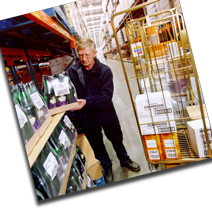 Our detailed knowledge and understanding has been gathered by working with many of the UKs leading blue chip retailers, manufacturers and 3PLS, delivering successful operational solutions. We have successfully managed and delivered many different change projects both large and small, from business expansion projects through to changing channels of distribution and downsizing progammes. Our purpose is to provide cost effective logistics and supply chain expertise to support sales focused businesses to drive value back into their organisation. Our aim is to deliver and support robust and simplified logistics and supply chain operations. From business strategy review to project management and operational implementation, we cover a broad range of services. We seek first to listen and understand our clients needs before agreeing realistic and appropriate plans to then lead and manage change to deliver results. Please explore our website to discover more about what we do. We provide advice and support on transportation from small vans to large goods vehicles across many market sectors from grocery logistics through to two man home delivery. We can review existing transport operations to simplify processes, remove waste and improve utililisation and costs. Additionally we can design and implement new transport solutions from concept to implementation. We provide operational risk management and profit protection strategies to businesses and support these with advice on the structures, frameworks and policies that will be required to deliver effective brand and asset protection. We advise on warehousing solutions from design and build of greenfield sites through to existing brownfield site options. Soloutions can include shared use or dedicated facilities depending on current and future needs. We also can review and examine existing warehouse operations to improve flow, productivity and capacity. We cater for a broad range of customers across varying sectors within the UK & Ireland. From small sales focused businesses with limited logistics and supply chain resources to large blue chip organisations. This encompasses retail, manufacturing, construction, electricals, DIY and 3pl logistics providers. Selection of the right calibre of management is crucial to delivering the right leadership qualities for the execution of sucessful logistics operations. We can select and provide permanent long term appointments or short term interim management. 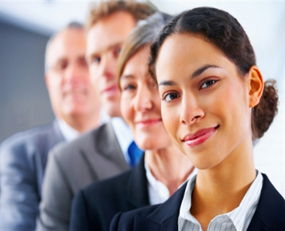 Our capability extends to coaching and leadership development. In support of our own considerable services and experience we draw upon alliances with trusted and highly experienced specialists in key service areas. These partners are highly experienced in their own particular field and support our solution design and service offering.